If you’re interested in ways to manage your Facebook ads more efficiently, you’re in luck. The following post is by Ricardo Fayet, one of the founders of Reedsy* (a network of world-class publishing professionals that provide authors access to a diverse roster of talented editors, designers, marketers, and ghostwriters). Ricardo walks us through five key ways to implement Facebook and Instagram ads that get results. While Facebook ads for authors are becoming increasingly competitive as more and more independent authors make use of them (and target the same audiences), they are still one of the best avenues to market a book. Since Facebook has data about pretty much anyone out there, their advertising platform makes it easy for any author — no matter how niche their books are — to find their audience and serve ads to their readers directly in their Facebook or Instagram feeds. More importantly, ads are relatively cheap to test: you can get started with $5 a day and see results. The only issue is, Facebook’s Ad Manager has become quite a complex interface, which changes almost every month as Facebook rolls out new features and possibilities. 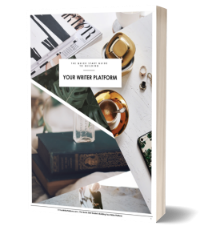 While these are generally a good thing for experienced advertisers, they make the learning curve even steeper for authors looking to get in the game.